KAROUN DAIRIES is dedicated to the highest quality of pure and natural cheese and dairy products. Karoun Dairies offer a wide variety of specialty Middle Eastern cheeses and dairy products. Karoun cheeses are mainly white cheeses, semi soft cheeses and fresh farmer's cheese. 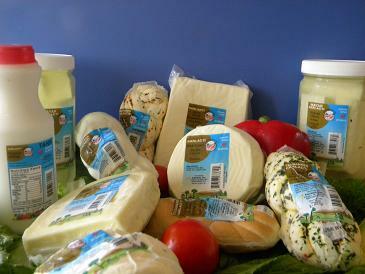 Karoun Dairies cheeses are the delicious gourmet traditional Mediterranean specialty cheeses. All Karoun Dairies products might not be available in all countries or might be available under another brand. Please check the authentic Karoun Dairies sign on the label to ascertain that the product is sponsored by the original authentic Karoun Dairies.